The last time I had a relaxer in my hair was in April and I count that as the beginning of my transitioning period. At first, I decided that I wanted long hair, so therefore I decided to quit relaxing for a year, however, after a couple of months, I realized that my hair needed to be healthy and I would love to go back to my natural curls(which by the way, I never actually saw as I was relaxed from a young age). I had no idea that this would be so hard :sad10::-(:cry: so I have joined to site to ask for help and advice. 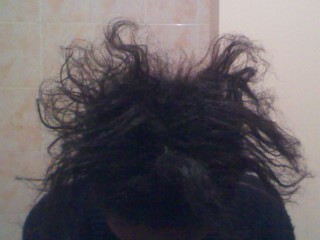 I never actually knew how uneducated I was on black and ethnic hair/MY HAIR! Outrageous right! 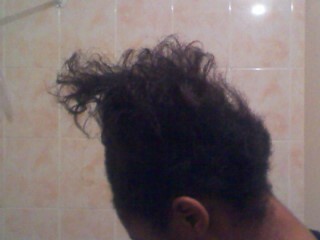 -My hair is growing at a really slow rate and constantly breaks. 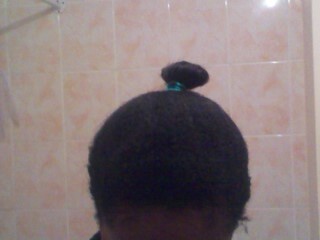 -I am experiencing a lot of scab hair and I can only do one thing to my hair which is a really tacky looking high bun. -I have no idea as to what products to use and can't afford much as I am only 15 and my mum isn't really supporting me in my hair journey:sad2:. Please, experienced curlies, help me figure out the ropes! I am seriously considering relaxing again! Hello! I would suggest trimming your relaxed ends. I know you don't want to do the BC but if you hold on to the damaged ends, your hair will constantly break. I didn't do the BC because I didn't want really short hair so I understand where you are coming from. I did, however, cut a few inches off at first and then periodically I would go to the salon and have them trim a little. As far as your hair growing slowly, there is not much you can do in the way of making it grow faster. What you can do is take very good care of it so that you can retain the hair that does grow. So moisturizing the ends of your hair well is key in my opinion. You don't have to spend a lot on hair products. I use shampoos and conditioners that you find in the local pharmacy or grocery store. Thanks, so much I appreciate this but are there any products that you will recommend that I use???? Also, how long did you transition for before you became fully natural? And I'm not sure where you live and if they have a Trader Joes but I love their Nourish Spa shampoo and conditioner. Right now I'm using Tresemme Naturals and it's working out so far. For a moisturizer I use Qhemet Amla and Olive Heavy Cream...this is a little pricey but a little goes a long way so I feel it's worth it and it works so well for me because my hair gets very dry. And for oils I use Jojoba oil and I've revisited Vatika Oil. I wasn't crazy about it at first but I do like it. I like to keep things simple so I don't use a lot of products so I hope this helps. I transitioned for a year and a half before I cut off all my relaxed ends. Thanks a bunch, btw I live in the UK. Did you have any particular styles that you used for styling such as briads, because I'm in a bit of bother as I can't braid or do any styles but I can get my hair done in a salon. Well I don't think there are any Trader Joes in the UK but everything else I'm sure you can find in local stores or online. As far as styles, I suppose you can wear your hair in box braids or similar styles that you can get done at a braiding shop. If I were you, I would practice doing styles on your own because there may be few salons that will cater to natural hair once you become fully natural. I'm no style guru. I just stick to braid outs and twist outs primarily. Those just entail putting any number of braids on each side of your head after shampooing and then letting them dry. Take them out, fluff and go! lol. YouTube and natural hair blogs will be your best friend while transitioning. I learned so many tips that really helped me along the way. There will be a lot of trial and error and sometimes your hair will not turn out like you want it but that's ok. You just have to be willing to practice and be patient with your hair.